Useful for : Those who are in Iron and Chemicals Business. Those in the public speaking field. This Rudraksha is related to fifteen tithi (i.e. ; Indian calendar dates). The person who wears this Rudraksha after proper Sidhhi ( method of purification & charging with Mantra) will get success on all the seven days of the week in his all ventures. He attains power and success in all of his works. The wearer of this Rudraksha has strong wit and intelligence. He talks with different people and at different places as per the place and opposite person with his Brains and intelligence and wins the discussions. This Rudraksha increases the Sperm in males and makes him very strong. The person who wear this Rudraksha he gains all the comforts and happiness in his life. This Rudraksha is considered to be very useful for the person who is engaged in the Business of Iron and Chemicals( all chemical process). He get success in his Business like anything and gains in every field; there is no doubt about it. 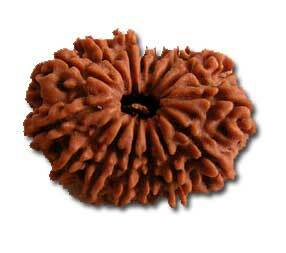 This Rudraksha is considered to be absolute in itself in all respect. It is believed that when Lord Vishwakarma made all the deadly weapons for all the Devta; he prayed to Lord Shiva prior to that for the blessing for success. He in result got the fifteen Mukhi Rudraksha from Lord Shiva as Blessing. 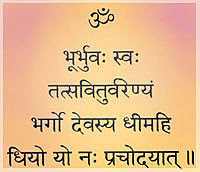 Rules for the Rudraksha: The Wearer of the Rudraksha should chant related Rudraksha Mantra along with Rudraksha Utpatti Mantra (Mantra for the Rudraksha Origin) daily at least 9 times while wearing and removing in the night before going to sleep.